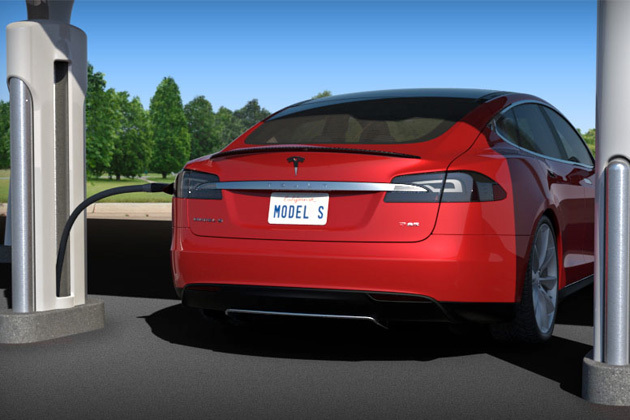 More EV Charging Stations In The U.S.
Have you imagined going out of fuel when driving on a lonely expressway. Probably not! because you have many refueling stations to help you. To reach that stage in context of an electric vehicle, will need many more installations of EV charging stations. The number of electric cars on roads is bound to increase in the near future, given their green credentials and improving technology. More and more car manufacturers are coming up with models with improved look and range. However, the most important question is whether there are enough charging stations for these cars. Though one can even use a regular household socket for charging an electric car, he needs to get it tested by a qualified electrician before using it. Also read major advantages of an electric vehicle. About 48 new electric vehicle charging stations are expected to be built on 25,000 miles of highways in 35 U.S. states. Automakers like GM, BMW, Nissan etc. together with states and utilities have agreed to come together and work towards achieving this goal. There will be an increased number of charging stations seen at strategic locations in various US states. Atlanta has pledged to install 300 such stations at the airport, while Los Angeles agreed to add 500 more stations by 2017. Many of these states have also agreed to increase electric vehicles in their overall government fleet. A federal loan guarantee program will also be effective in the U.S., which will provide up to $4.5 billion in loan guarantees to companies building EV charging stations. The government through various financial incentives has been trying to boost EV sales which are hit owing to the low gas prices in the U.S.
IKEA, a leading home furnishings retailer in the U.S. also announced installation of three electric vehicle charging stations at its Columbus store opening by mid-2017. IKEA has already installed charging stations at 16 of its outlets in the U.S. The company believes in sustainability and thus helps support this cause. Customers can enjoy shopping and eating while their EV is getting charged for another run. IKEA has around 400 stores in in 48 countries, including 43 in the U.S. which offers a good opportunity for electric vehicle drivers if the company decides to install more charging stations at few more of its stores.